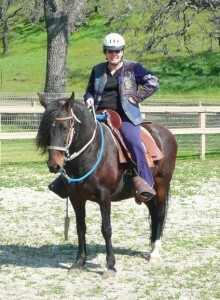 Sandy Nathan, award winning author, rides her horse for the first time after having her ankle fused. Little did she know that getting over writer's block would be harder. I wrote an introductory article on unlocking writers block a few weeks ago. 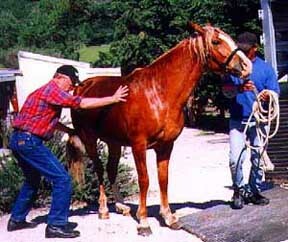 (The one illustrated with photos of us trying to get a horse into a trailer.) After three weeks of vacation in New Mexico, I’m home and happily and productively working on the rewrite of Mogollon, sequel to my award winning novel, Numenon. What did it take for me to break through the dreaded block? Well, I stepped in a rut in the driveway with my fused ankle about three days into my vacation and spent the next two weeks in great pain and unable to walk. Before that, I had in a kidney infection along with a major flu. That’s right, I had a kidney infection at the same time as the flu. Is suffering necessary to break through writer’s block? 1. Accept and surrender. If you’re unable to write what you want, or reach the depth that you know you’ve got with your writing, acknowledge it. You don’t have to like it or embrace it, just accept the fact you’re blocked. And surrender to the fact. Journal about it. Write a blog article or entire book about it. 2. If you don’t accept your blocked state and surrender to it, you can search the Net for tips and techniques to deal with writer’s block and paralysis. You’ll find lots: Try them all. Maybe they’ll work. Chances are they won’t. When you discover this, accept your block and surrender to it. 3. Hit bottom. I did this in my idyllic New Mexico escape, bruised ankle propped on pillows and my foot and lower leg––all the way to the knee––looking like an angry eggplant. That was after I got over the kidney infection and flu. 4. Truly give up. Hand your whole life over to your Higher Power. If you don’t have a Higher Power, make One up. 6. Left to Tell: Discovering God Amidst the Rwandan Holocaust by Immaculee Ilibagiza. This best-selling book tells the story of how Immaculee Ilibagiza survived the murder of one million of her fellow Tutsi tribe members by rampaging Hutus. She hid in a 3 X 5 bathroom in Rwanda with 7 other women for 3 months. This book is a miracle, the finest example of contemporary Christian mysticism I have read. 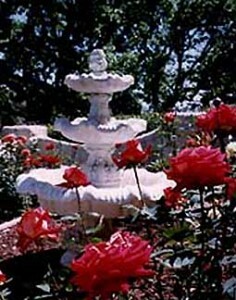 It jolted me into contact with my spiritual roots and provided the ground of my healing. 7. It’s also evidence that writer’s block is not the worst thing that can happen to you. 8. Neither are low book sales. 9. You don’t have to be obsessed with your on-line sales, the number of blogs you write on, your web site stats, or anything about the world of writing. 10. Life would go on if you never wrote another word. 11. You might even enjoy your life more. Freedom is letting go of attachment and aversion. No more: "I gotta have it," alternating with "I'd better run from him/her/it." Freedom is our birthright. This is freedom. Once you attain this knowledge that you don’t need to write and the inner state that goes with it, the fountain of creativity inside of you may start to bubble again. You may get new angles for the book you were working on. You may WANT to write. You may be able to write. Or not. You may want to run screaming from the literary world. Try my method: Drop everything. Get to a dead stop. See what your soul says to you about your writing and your life. Do what it says. I’m back at work writing, but in a different way. No more pounding the keyboard until my shoulders won’t move and my wounded ankle feels like it’s poured full of molten lead. No more obsessing. I’m doing things differently and letting the immense love and good will of the universe carry me forward. If my stuff is supposed to sell, it will because people find value in it––and in getting to know me. In God we trust, right? That’s the title of that other article I wrote about my recent three weeks of high altitude spiritual regeneration in Santa Fe. 1. Watch where you put your feet. If you watch where you put your feet, you won’t step in it. It can take many physical and metaphorical forms. The rut in the driveway that nailed my already screwed-down ankle taught me the wisdom of simple truths: Watch where you step. 2. Keep your ankle above your heart. This is a variant of an Eastern spiritual practice. In Eastern religions, worshipers pranam, bow, to their gurus, sacred objects, or representations of deities. The pranam involves either going down on one’s hands and knees and touching one’s forehead to the floor or a total prostration, lying face down on the floor with your hands over your head––a full pranam. The pranam honors the sacred and forces one to put one’s head below one’s heart. That is, a pranam puts the rational, judgmental function of the intellect below the empathetic, intuitive, compassionate function of the heart. This is a good thing. Few people get in trouble because they’re too compassionate. My episode with my ankle indicated that keeping your ankle above your heart can be an equally powerful means of attaining surrender, peace and nonviolence. Could those Hutus have murdered all those people if they’d kept their ankles about their hearts? No. You can’t do much lying on your back with your ankle above your heart. This posture does provide a perfect opportunity to catch up on the meditations you’ve missed since you started writing seriously twenty years ago. You can contemplate existence like crazy. With your ankle above your heart, your ankle’s swelling will go down, and so may that of your head. It’s a humbling thing, lying with your leg in the air. Humbling enough to allow your soul to talk and tell you what it thinks of the way you’ve been living. Writing and lifestyle are interrelated, or so my ankle and heart told me. In words my editor sent me (from Ephesians): Live a life worthy of the calling you have received. In God I trust, while walking the walk. I'm going to illustrate this blog post with a simple tale springing from ranch life. This is a true story, obviously, since those are photos. 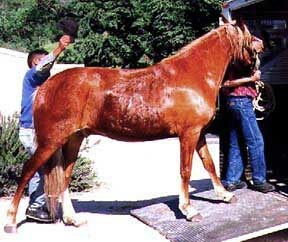 This is The Day Corcovado Learned to Load and Unload from a Trailer. Note that the horse is not freaking out, pitching a fit, or tramping his handlers. No, Corco is doing something more effective. He's adopted The Mule Stance. My mind follows Corco's example as I contemplate rewriting Mogollon. A while ago, I wrote that I was going to blog about the rewrite, the re-vision, of my draft version of Mogollon, the sequel to my award winning book, Numenon. That was weeks ago. In that time, we put a Kindle version of Numenon out for 99 cents. 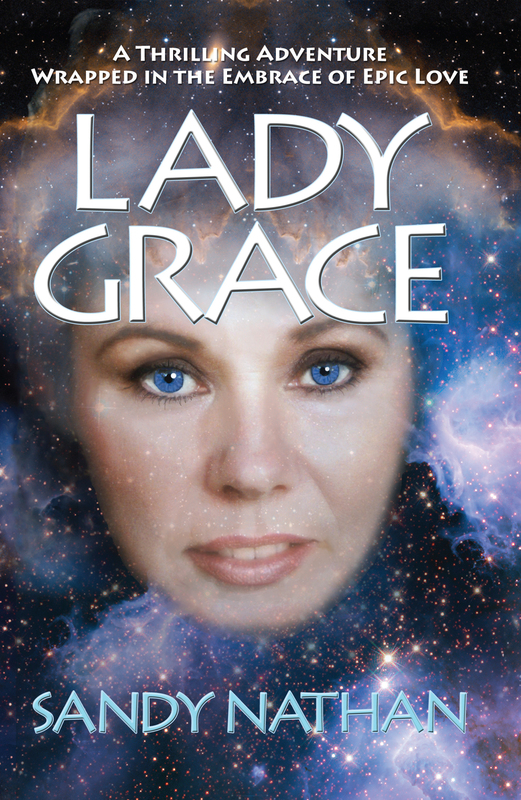 Sales went crazy, Numo hit # 1 in Mysticism, and then cruised near the top of the Religious Fiction category. Why? Because Numenon is the introduction to the series. It’s got every hook in the world in it to make people want the sequel. It ends with a bang and points the reader dead at Mogollon, the rewrite of which we are discussing. Numenon‘s readers are already asking for the sequel; some are getting kinda grouchy about it. How long will my readers wait before dumping me entirely? The book’s first and part of a second draft is written. All I have to do is open my computer files and wail away, toiling for a really long time to get the manuscript cleaned up as well as I can. Then I have to go through the editorial and proofing process, necessitating months and months of hard work before a publishable version exists. As owner of an Indie press, after I do all the above, I get to manage the design and publication process, and then marketing and sales. I can’t open the manuscript’s files. I’d rather do anything than think about the changes I have to make. I’d as soon dismember my firstborn child as whack away at Mogollon. DO YOU THINK I’VE GOT WRITERS’ BLOCK? An undisclosed amount of time later and the guys have the task in hand. All they have to do is get Corco from where he is into the trailer. All I have to do is get Mogollon into print. I realize that sounds judgmental and mindless of the pain of the condition, but remember that the blocked up person I’m talking about is me. I exhibit almost every causal attitude I’ll discuss below. The desire to write the Great American (Latvian, Lithuanian, or Other) Novel can shut a writer down: “I have this HUGE idea. Can I possibly express it? Am I big enough? Good enough?” Hand wringing. Angst. Pain. It’s based on an inflated image of one’s importance in the Grand Scheme of Things. 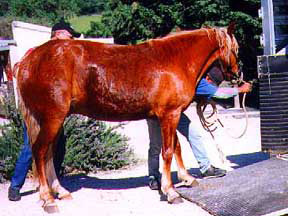 If you regarded finishing your novel the way ranch people regard mucking out the stalls, would it be so hard? So wrenching? Would you stay awake nights because you couldn’t finish the job? No. When writing becomes a job of work, histrionics leave and you can get the thing done. Writer’s block also can be associated with positive things. Sherman Alexie, the bestselling Native American author, reminds us that success can block you up good. How can you write when your last book was a national bestseller and your publisher is leaning on you for the new one? And grumbling about your contract and the advance you got for the three book deal? Just plain fear is behind a lot of this. Can I do it? Can I bring it across? It’s the terror that arises when one faces in front of a blank screen or empty page. My eyes widen and I suppress a scream . . .
Real progress: both front hooves are on the ramp. Corco continues to exhibit the Mule Stance. These photos were taken over several hours of intense human-equine power negotiation. Notice the carrot in Barry's hand. Sometimes positive reinforcement doesn't work. Also–Corco had a bath before these pictures were taken. His coat is wet from suds, not sweat. It's the guys who are sweating. You may begin your manuscript and discover that completing it requires the discipline to sit down and bang it out––to sit for days, months, and years. Despite your earth-shaking, sure to be a bestseller idea, your book won’t exist unless you write it down. “It’s just too hard … I can’t do it.” Another tragedy. So you go to a writing group for support and stick around until you hear their feedback to your cherished production. Sometimes this can be bracing in a “pull up your socks” way, and sometimes it can shut down all creativity. Rough editors can do the same. The rest of humanity, household pets, inanimate objects, and lousy viruses and bacteria can stop a writer’s progress. Life intrudes. Call it resistance or an errant Mack truck, writer’s block is writer’s block. A cure exists. I have written about it: The Ultimate Cure for Writer’s Block. If you get what I say in this article, block will not trouble you, unless it wants to. ON THE OTHER HAND, YOU MAY NOT BE ABLE TO FINISH YOUR MANUSCRIPT BECAUSE THE TIME ISN’T RIGHT. You and your book idea might not be cooked enough. In a revolutionary move, Tony has PICKED UP CORCO'S HOOF and placed it further onto the ramp. 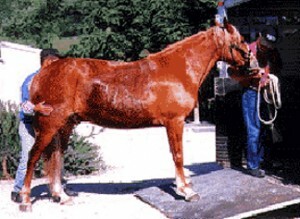 Notice that nothing else has changed in the horse's stance. True resistance, perfectly executed. Well done, Corco! YOU CANNOT MAKE A 1,200 POUND ANIMAL DO ANYTHING. IT HAS TO WANT TO DO IT. YOU CAN’T MAKE A WRITER SPIT OUT WORDS, EITHER. WRITER’S BLOCK IS LIKE THE BERLIN WALL: YOU CAN’T GO AROUND IT, OVER IT, OR UNDER IT AS LONG AS IT’S STANDING AND THE GATES ARE CLOSED. RECALL THAT THE BERLIN WALL (which some of you may not remember) CAME DOWN WHEN THE TIME WAS RIGHT. WHILE YOU’RE WAITING, DO SOMETHING ELSE. READ. You can read all sorts of stuff, including my online magazine, SPURS MAGAZINE. SPURS is about changing the world, or at least cleaning up some of its nasty bits. I named it SPURS because in life, sometimes you need spurs to get moving. I’ve been writing SPURS since the late 1990s and am about to unleash it in blog form, as soon as I get over my paralysis over rewriting Mogollon. SPURS’ WRITERS’ CORNER contains a bunch of articles relevant to writer’s block. These articles walk through the process of writing as experienced by me and many others. (Lots of references & links.) Please allow your browser time to open at the links. DO YOU HAVE TO SUFFER TO WRITE WELL? One of my favorites. Uses Kay Redfield Jamison MD’s writing on bipolar disorder and creativity. WRITERS’ TERROR AS OPPOSED TO BLOCK OR DOUBT Getting down to what writers’ really think and feel. You meet my writers’ group and learn how I felt as I wrote my first book. THE ULTIMATE CURE FOR WRITER’S BLOCK If this article doesn’t get through your Block, take up golf. TO DISTRACT YOURSELF WHEN YOU CAN’T WRITE, YOU CAN ALSO CLEAN THE HOUSE, ROLLER SKATE, GO TO YOUR SHRINK, BLOG ABOUT YOUR BLOCK, ENTERTAIN YOUR FELLOW WRITERS, OR TAKE A NAP. MOSTLY, CONTEMPLATE THE SITUATION UNTIL YOU REALIZE THE REAL REASON FOR YOUR BLOCKAGE/STOPPAGE. A real break where I do NOTHING, NADA, ZILCH. NO book marketing, planning the next move, scheduling book signings, reading blogs on marketing, sales, the latest Net techniques. I need to stop doing what I’m doing and allow my personal process––my soul, if you will––to call the shots. When The Universe wants me to finish Mogollon, I will, and probably pronto. MY REAL PROBLEM IS: I’M POOPED. I’m taking that break, goin’ to Santa Fe for three weeks. Santa Fe, New Mexico, is like catnip to me. Where we stay, there’s no Internet, no phone, no TV, no roads. Just wind and sky and a few snakes. 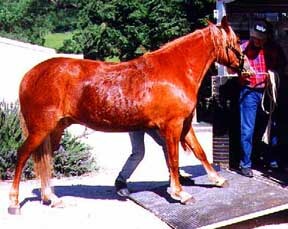 Tony leads Corcovado out of the trailer. Note how relaxed the horse is. He never had a problem going into or out of a trainer from this day forward. WHAT DOES CORCO SAY ABOUT THIS? 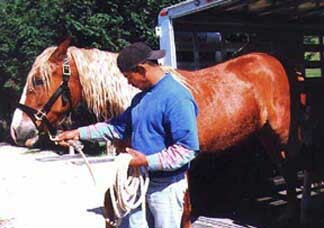 About a minute after the previous photo, Corcovado walked into the trailer easily and with no fuss. He’d decided that he wanted to. When your soul/brain/heart/body/hands decide it’s time to write, you will. You’ll write good stuff, that deserves to see the light of day. PS. If you liked this article, you will like my book Stepping Off the Edge. It has much more about living the writer’s life, success, triumph, despair, and JOY. STEPPING OFF THE EDGE on KINDLE– 99 cents for a limited time! NUMENON on KINDLE––99 cents for a limited time! Hasta luego, amigos! I’ll write more later! I have a date with a dirt road and cactus. 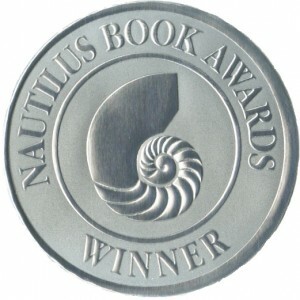 Numenon, by Sandy Nathan, is a 2009 Nautilus Book Awards Silver Winner! 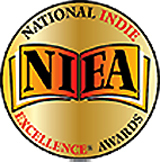 The Nautilus Awards are dedicated to “changing the world one book at a time.” The Nautilus Award was established to find and reward distinguished literary contributions to spiritual growth, conscious living, high-level wellness, green values, responsible leadership and positive social change. 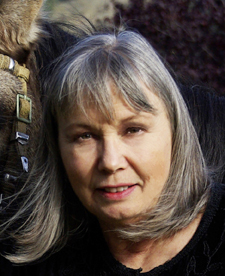 By winning a Nautilus Silver Award with her book, Numenon, author Sandy Nathan joins the ranks of Deepak Chopra, M.D., Barbara Kingsolver, Thich Nnat Hanh, Jean Houston, PhD., Eckhart Tolle, and His Holiness the Dalai Lama. All are Nautilus Award winners. Tags: a thousand brilliant suns, Alan Watts, Amazon Bestseller Day, Amazon Bestseller Day How To, award winning book covers, Award Winning Books by Sandy Nathan!, Be an Amazon Bestseller, Become an Amazon Bestseller Best Seller, become who you are, book editing, Buck’s of Woodside, Carl Jung, Do Amazon Bestseller Campaigns Work?, Editor for You, editorforyou.com, ellen reid, ellen reid book shepherd, Emerging Writer Awards, Emotional Pro, freebie, Full Power Living, gift, goodreads.com, graduate school of business, great book covers, Great Book Covers Are Beautiful, help for writers, high tech, His Holiness the Dalai Lama, horses and spirituality, How To, http://www.ibpa-online.org/, I can’t write a query, IBPA, Ilene Dillon, Indie Excellence Book Contest, irene watson, is your desire to be published driving you insane?, Jung’s theory of personality type, Jungian thinking type, Jungian type, Jungian type of readers, Kantian philosophy, Kathryn Agrell, Khaled Husseini, know readers personality type, Lewis Agrell, loss of family member, managing the publishing industry, marketing tip, Melanie Rigney, Mogollon, Mogollon New Mexico, Mogollon NM, Mogollon people, Mogollon Rim, Myers-Briggs Type Indicator Test, Nobel Prize for Economics, noumenon, Numenon, numenon Amazon Bestseller Day, numenon: a tale of mysticism & money, ondrea levine, peggy mccoll, Peruvian Paso horses, plug your book online, professional book cover design, professional book design, rancho vilasa, randy gilbert, reader views, Rewrite your draft novel, sandy nathan, Sandy Nathan's News, Self publishing, seven habits of highly effective people, silicon valley, Spurs Magazine Writers' Corner, Spurs Magazine Writers’ Corner, Spurs Writers' Corner, Spurs Writers’ Corner, St. Teresa of Calcutta, stanford university, Start a small press, stephen levine, stepping off the edge, steve harrison, steve weber, surviving publication, tammy rimes, the Agrell group, the kite runner, the taboo against knowing who you are, the wisdom of uncertainty, Thich Nhat Hanh, this is it, Uncategorized, Vilasa Press, What does winning really mean, why people can write novels books but not query letters, Writers' Tips, Writers’ Tips, writing life categories 0 Your Shelf Life: What is this blog about? categories 0 Your Shelf Life: What is this blog about?